Angler's West will plan a trip to suit your ability and interests. Enjoy world-class fly fishing on southwest Montana's renowned river's, lakes and spring creeks. Angler's West offers both float and walk/wade trips with professional experienced guides. Float trips utilize MacKenzie style drift boats or specialized fishing rafts providing a comfortable, stable and safe way to fish our rivers. Your guide will position you within easy casting distance of the preferred fishing areas. You may also choose to wade a smaller stream or spring creek. Either option is an excellent choice. Angler's West offers day trips as well as multi-day packages. Our area of operation includes fabled rivers like the Yellowstone, Madison, Gallatin and Missouri as well as privately accessed spring creeks and lakes. Indulge yourself in a variety of fishing opportunities all while enjoying the immeasurable beauty of Big Sky Country! 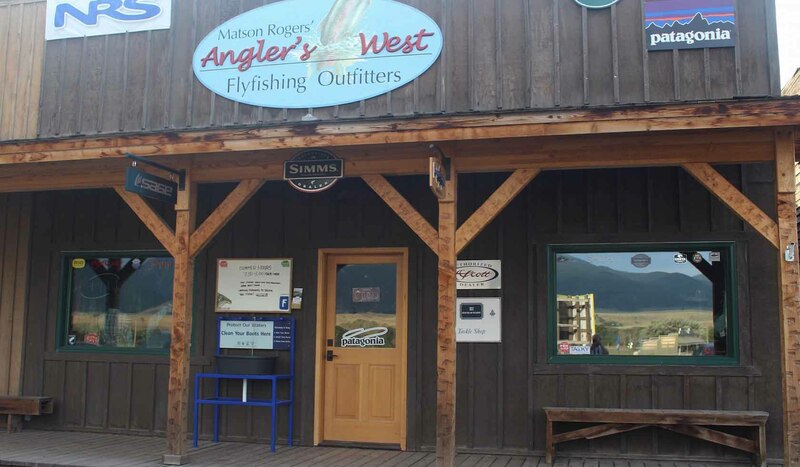 Angler's West Flyfishing Outfitters is a fully-stocked flyfishing and mountain lifestyle retail store.